102' Catamaran IPHARRA is built with an aluminum hull and with her 42ft beam, offers guest luxurious space and comfort. Her expansive shaded cockpit which offers alfresco dining is complimented by her massive flybridge which is also equipped with a dining table and sun loungers. Ipharra offers plenty of room for relaxation and fun on her dual trampolines. 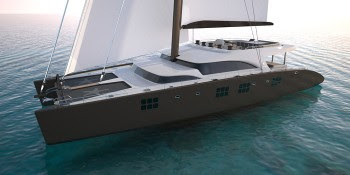 Luxury catamaran IPHARRA is available for charter in the Caribbean and the Mediterranean.